As many of you may know there has been a change in ownership at Bartley Green Leisure Centre and changes in policy at the school that have resulted in us no longer being able to train there on Saturdays and having only an hour for Wednesdays. Thus after consultation with those who attend the class we have decided that we will be regrettably ending our over 30 years of training at Bartley Green and instead relocating the class to Longbridge Methodist Church, the same venue as the Saturday class. This decision hasn’t been taken lightly but we feel it provides the best training opportunity for all BHSKC students. The class will run from 6pm -8pm, allowing more time for training and is more accessible being close to Longbridge train station, major bus routes and road routes. 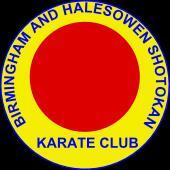 The class will be taken by Sensei Austin Birks 5th Dan and Sensei Sue Hession 4th Dan.